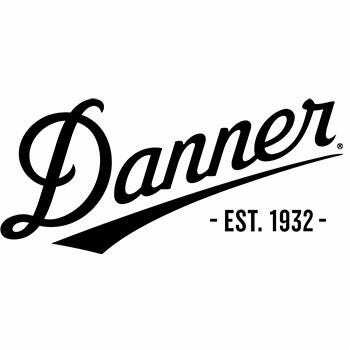 Named a "Best Buy" in Backpacker Magazine's annual gear guide, Danner Men's 45364 Dark Tan GTX Hiking Waterproof Work Boots will make trekking through tough terrain feel like a walk in the park. Designed with innovative features and rugged styling, this exceptional ... (see full details) (see specifications) #DNN45364. Named a "Best Buy" in Backpacker Magazine's annual gear guide, Danner Men's 45364 Dark Tan GTX Hiking Waterproof Work Boots will make trekking through tough terrain feel like a walk in the park. Designed with innovative features and rugged styling, this exceptional footwear is built to make every mile easy going on your feet. These hiking boots feature Nubuck leather uppers for the rugged durability required on the trail and the instant lightweight comfort needed for your feet. The lace-up design and classic styling of these men's shoes make these as good-looking as they are functional. The leather is both abrasion- and scuff-resistant, too. You'll also appreciate the solid footing you get from the oil- and slip-resistant aggressive outsoles that provide reliable traction on a variety of terrains. You'll get downhill braking, side hill traction, and improved acceleration with the TFX lightweight outsoles. For the perfect balance of strength and weight, this tan footwear utilizes their patented Terra Force X Construction to make these performance GTX boots. The four components of this innovative system combine to form an extremely rigid and stable platform that's also exceptionally comfortable and supportive. TPU shanks provide needed stability, while the scuff-proof toe caps provide protection where leather shoes tend to show signs of wear. The result is unmatched comfort and stability designed to help you last mile after mile. These outsoles are designed to give you the best possible traction on rugged terrains. Along with the durable traction, you'll get heel-to-toe energy transfer, side supports to enhance your maneuverability, and protection from arch overwork and fatigue. Inside these premium footwear, you'll find a breathable, abrasion-resistant Gore-Tex lining to make certain your feet don't feel soggy. The 100% waterproof Gore-Tex works just like your skin billions of tiny holes allow moisture and perspiration to escape from the inside yet stops water from entering from the outside. From the first mile to the last, your feet will stay drier, cooler, and comfortable so you can trek through any terrain. Get these Danner Men's 45364 Waterproof Hiking GTX Tan Boots today for the best in comfort and performance on the trail. Just click on the cart and lace up the confidence of these leather boots for your next expedition. 24 out of 24 people found this product review helpful. I have had a pair of these 453s for about 3 years and they were the only shoe my feet and ankles would tolerate so I wore them all the time. Finally I wore the soles down to the cords and winter was coming so I got another pair. They are expensive but worth it. Well made and comfortable boots. I would really prefer that they were made in the USA but no, it is China. Nice boots, comfortable, easy to take care of, and very waterproofed. 17 out of 17 people found this product review helpful. I use these for my hunting boots when I am not working in them. Just a good all around good product. It's a toss up as to which I like the best--the free shipping or these boots. I really do like them and they are truly waterproof. 17 out of 18 people found this product review helpful. Im a lanscaper and Im on all kinds of terrain in all weather conditions. 17 yrs in the buisness, best boots I ever bought. You responded to us as if we were standing in the store with you - offered us very personal service and a pleasant surprise. You have been a pleasure to deal with and your service will ensure that we will continue to do business with The Working Person's Store. Danner Boots: Men's 45364 Tan GTX Waterproof Hiking Boots is being added to your cart.